HPE 3PAR Simulator v3.2.1 MU2 provides a virtualized HPE 3PAR StoreServ Storage System without the corresponding physical storage hardware requirements. The features normally provided by the hardware components, including the ASIC, HBA and enclosure are emulated in software. 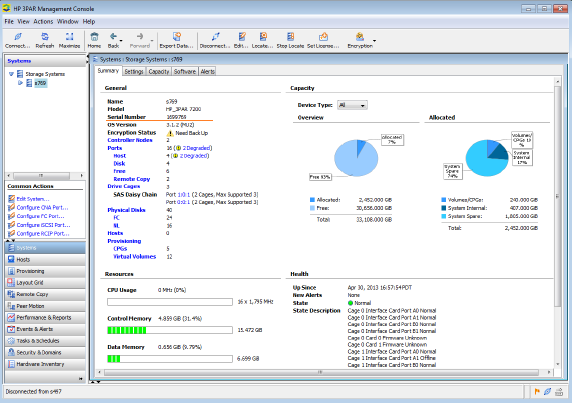 The HPE 3PAR Simulator provides the same look, feel and primary interaction capabilities of a physical storage system including support for management, administration and reporting through the HPE 3PAR Management Console, remote CLI, and client software access to the CIM-API and WS-API interfaces.